High-frequency trading solutions provider Celoxica will launch a new futures trading platform for firms executing on futures exchanges CME, IntercontinentalExchange, NYSE Liffe and Eurex. High-frequency trading (HFT) solutions provider Celoxica will launch a new futures trading platform for firms executing on futures exchanges CME, IntercontinentalExchange, NYSE Liffe and Eurex. The platform aims to accelerate market data that feeds trading algos and execute orders to ensure fills are achieved across multiple trading strategies. 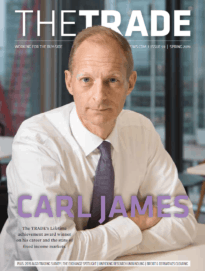 “For futures trading, processing speed, determinism and throughput continue to play a crucial role in the success of principle trading firms and hedge funds trading on the global futures markets,” said Jean Marc Bouhelier, chairman and CEO of Celoxica. Global connectivity provider Perseus Telecom will provide low-latency connectivity between New York and Mexico City markets for Mexico-based broker CI Casa de Bolsa. The partnership will supply a fast connection to trade US-listed stocks displayed in Mexico, offering advanced execution capabilities for foreign investors. “Perseus’ network is built for performance and customer satisfaction without the overbearing costs that low-latency technology can sometimes bring to our bottom line,” said Mauricio Suarez, heading of international sales at CI Casa de Bolsa. The Chicago Board Options Exchange (CBOE) will launch customised option pricing service on Monday 14 January, offering customers end-of-day valuation for customised options. The new service was designed for institutional investors who need to accurately price the value of custom options in their portfolio as part of daily reporting requirements mandated by the Securities and Exchange Commission. The valuations will be based on pricing models from CBOE market markets to generate indicative values for up to 3,000 options series on 300 underlying options classes each day, which are drawn into averages which can be broken down by subscribers with custom data based on those averages. Connectivity provider RTS Realtime Systems will connect to London interest rate derivatives venue Nasdaq OMX NLX, which offers short and long term derivatives products in euro and sterling. 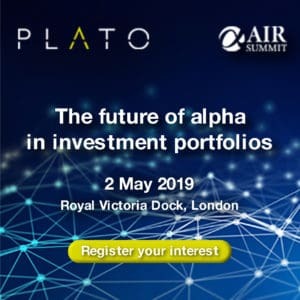 Connectivity will be provided through the firm's hosted offering in the London data centre and clients will have access to NLX futures and spread products using RTD Tango and RTS' algo trading platform. The firm will also facilitate spread trading in NLX interest rates with those in other markets. "A core part of the NLX offering is working with established and trusted partners to supply our customers with solutions to access and trade the market," said Charlotte Crosswell, CEO of NLX.